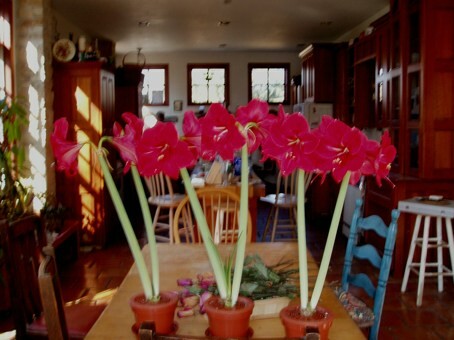 My friend Chris sent me pictures of flowers she grew this Winter. Gorgeous! Although my eye also went right to that blue chair. I love that blue chair. I need to paint something that shade of blue. The city is blossoming, too. I should get some pictures while I’m out and about today.